It’s in the best financial interest for America to remain fat because overweight and obese patients fuel a big part of the US economy. The obesity epidemic is a result of multiple factors that has crept into the fabric of American living. The profit motive of sugar, industrial agriculture and giant food corporations has created Government policies to help expand their businesses at the cost of American health. Today, the typical American consumes mostly processed foods, sugar, animal and dairy products with very low amounts of whole foods like vegetables, fruits, nuts, seeds and legumes. This American diet of meat, dairy, high sugar intake + MSG (80% of processed food contains MSG and free glutamates) is creating an obesity epidemic that demands medical services, pharmaceuticals, industrial farming and transportation. And these goods and services amount to a large part of our GNP (gross national product). If Americans changed their diet to a whole food plant based diet, they would lose weight, reduce or eliminate medications, eliminate demand for medical services related to obesity, eliminate demand for industrial farming, eliminate demand for processed foods, eliminate the demand for products with added sugar, eliminate demand for transporting these goods and eliminate the demand for financial services that fund these companies. These goods and services amount to trillions of dollars annually. The recent mortgage meltdown in 2008 should remind us of the devastating impact the housing crisis caused Americans. Americans adopting a whole food plant based diet would bankrupt major food corporations, industrial farming, grocery stores, fast food chains and restaurants, most hospitals and medical service centers, some pharmaceutical companies, some transportation companies etc. A healthy America on a plant based diet unfortunately means financial disaster for Americans. If America is going to hell in a handbasket because I’m choosing a whole food plant based diet and I’m encouraging others to join me then I’d rather be healthy and fit in a bankrupt America than fat, sick and ready to die in a financially stable America. As always, consult with a physician before modifying your diet and exercise program. Slim Spa Medical provides doctors for consultation, prescriptions sent to your door, nutritionists to assist with your diet depending on if you’re vegetarian, vegan, diabetic hypertensive etc. 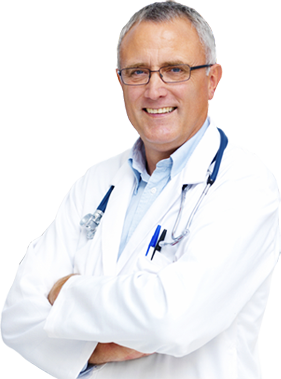 In addition, nurses and weight loss coaches are available with just a phone call for simple medical questions and motivation throughout your HCG Diet program. 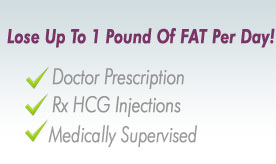 Call us and get your medical weight loss questions answered.